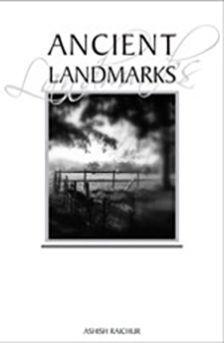 “Ancient Landmarks” is a message I have been carrying in my heart for some time, which I am now sharing with you through this book. This is probably the kind of message that I would preach as one of my final messages, when passing on the baton to the next generation that would continue the race from where I leave. The world is changing. What worked yesterday, may not work today! We need to adapt to the new world. We need to present eternal truths using symbols and language that are part of the culture of the new world. And yet there are dangers in doing so, that we must be aware of. We cannot take things randomly from culture and use them to communicate timeless truths. We cannot compromise on ancient landmarks in our effort to use, engage and employ the culture of the new world. There are some winds of change that are blowing, which we need to adjust and adapt our sails to and go where the wind is blowing, lest we get left behind and become disconnected from the present new world. And then, there are some winds of change that are blowing in a direction that would make us cross sacred boundaries and lose godly traditions. We must learn to navigate through these winds of change, using the ancient landmarks to anchor us through the storms. STAY WITH THE BIBLE. The Bible IS our Ancient Landmark!